Our new Unicorn Pink is filled with all things Pink! Making it the perfect new baby girl gift! Presented in a beautiful Australian, Hand Made Timber Box that can used for years to come for keepsakes. Millie Moo Hampers French Pear ‘Kisses, cuddles, love and snuggles, It’s A Girl! 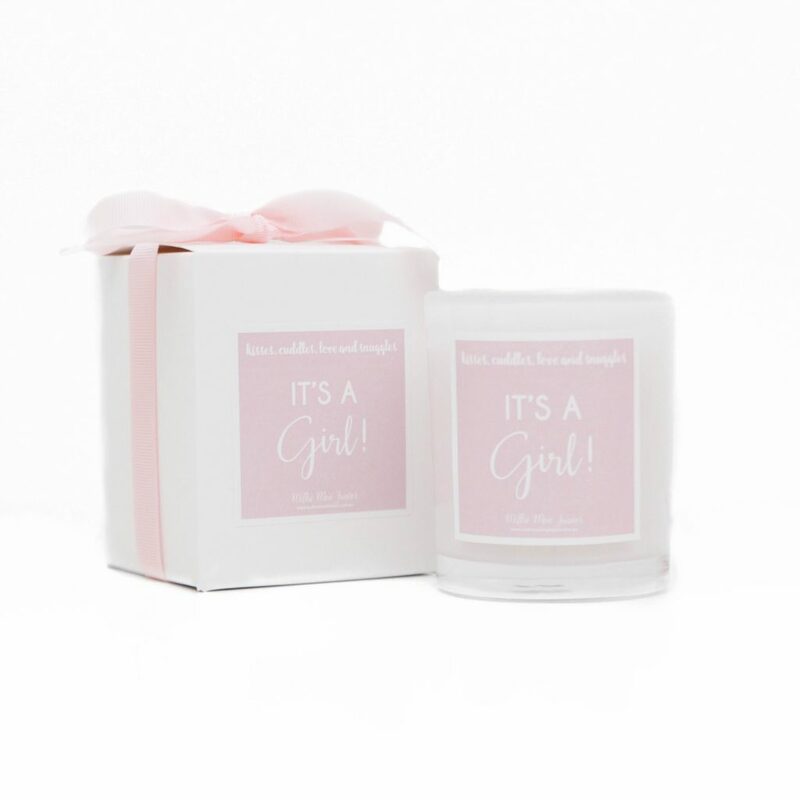 ‘ candle; designed and made exclusively for Millie Moo Hampers.